Zoho CRM - The Trainer's Advisory Network Ltd.
With over 10 years in the CRM industry and over 50,000 customers, Zoho CRM interface is one which needs little to no explanation. Everything about the software is made as simple and straightforward as possible–from the terminology to the setup. So don’t worry if you’re completely new to sales or if you’re not tech savvy; Zoho has crafted it so that everyone can feel comfortable utilizing the available tools. A good CRM gives you insights into running your business. A smart CRM gives you the information you need in a way that you can use it. An ideal CRM offers you a solution to simplify your processes from day one. 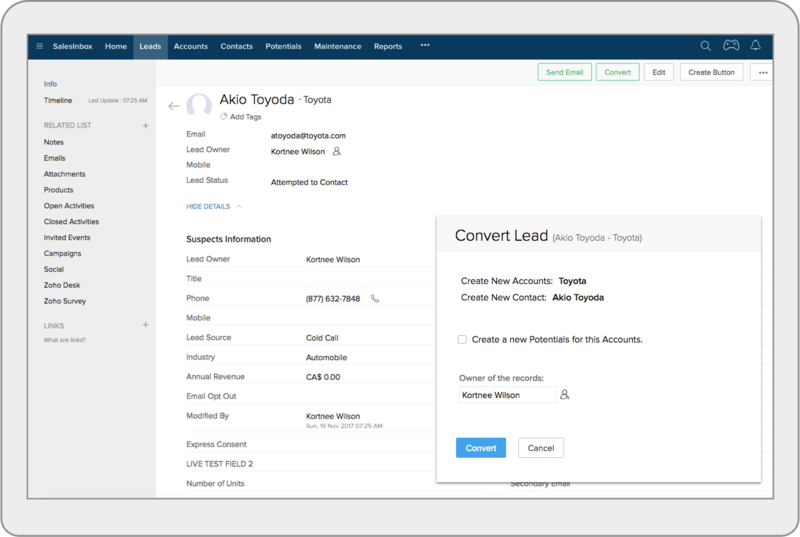 Zoho CRM includes the good, the smart, and the ideal in an enterprise-ready package. 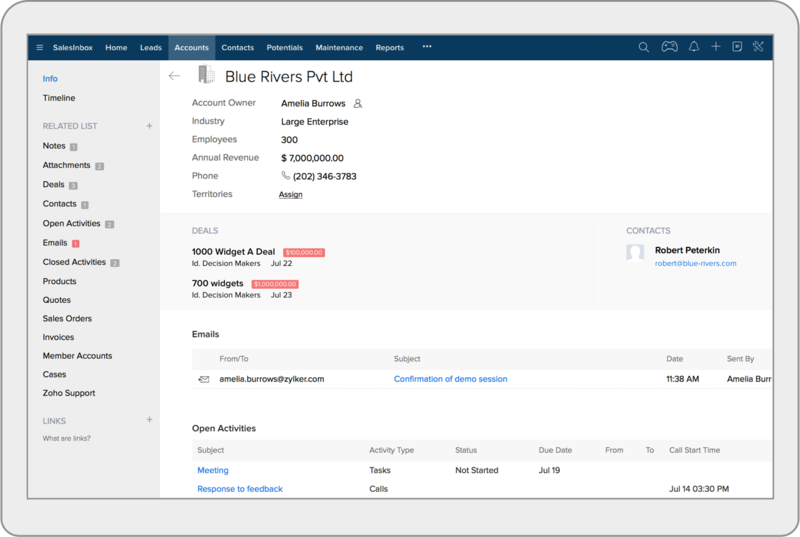 Because every business is unique, you need a CRM that works the way you do. Choose from an array of customization tools in Zoho CRM and find solutions for your evolving systems. Your business changes, why shouldn't your CRM? 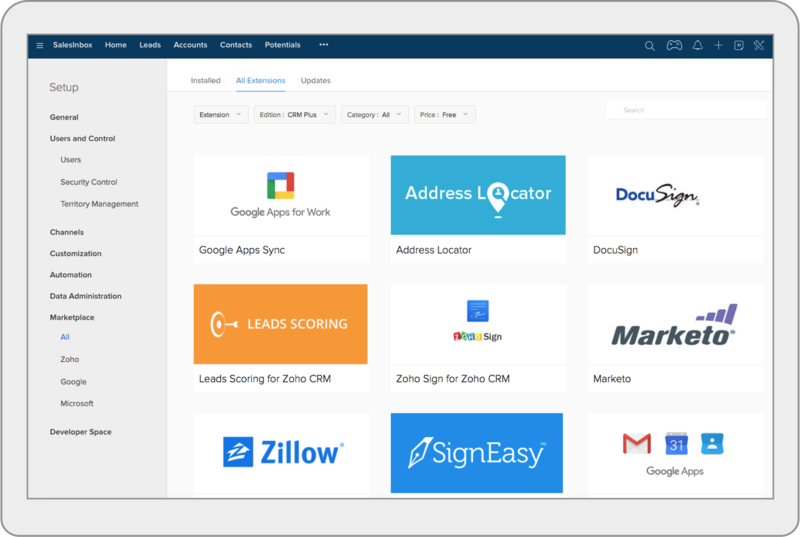 Zoho CRM is designed to grow and evolve as your systems do, keeping you relevant to your customers and as dynamic as your market. With Zoho CRM, there are no additional surprise costs. What you pay for is what you get. The pricing is flexible as well: You can opt to pay monthly or annually, and, once you pay, you get to use the full features of the software. Meet your customers, no matter the medium. Multichannel support in Zoho CRM lets you reach people on the phone, via live chat, email, through social media, and even in person. Close more deals on the move. When sales keep you moving, shouldn’t your CRM move with you? 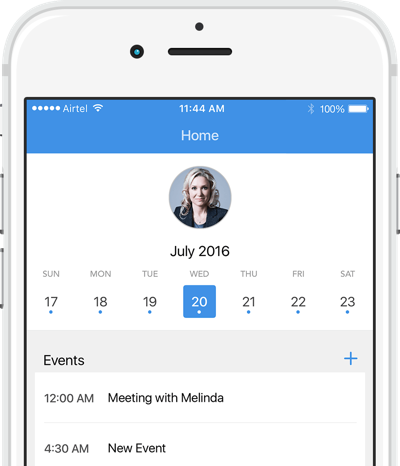 Zoho CRM’s mobile app turns your phone into a personal assistant, daily planner, and much more. Real-time sales are just a download away. 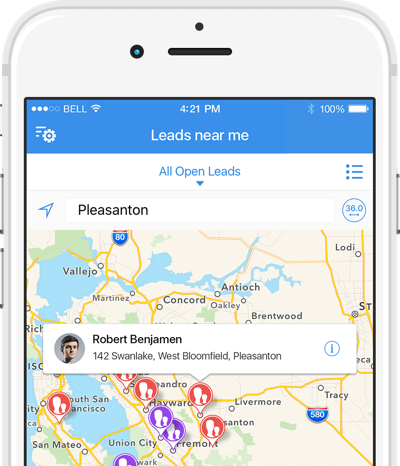 Drive sales with effective lead management. Converting a lead into a potential buyer depends on efficient communication and nurturing. Cash in on all opportunities. Great sales management is all about prioritizing, tracking, and monitoring the deals in your pipeline. Sales numbers at your fingertips. 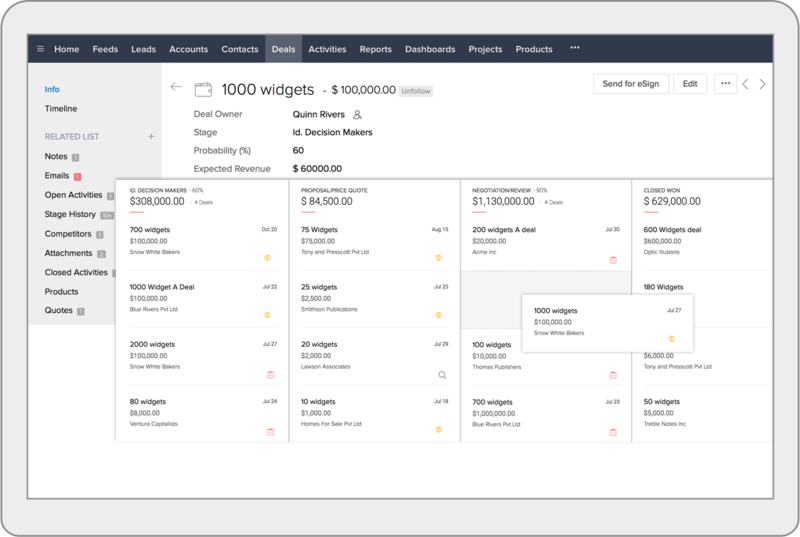 Get real-time insights into sales trends, customer engagement, and team performance with dashboards. Blueprint helps ensure everyone in your team follows the right process, even when you're not looking. 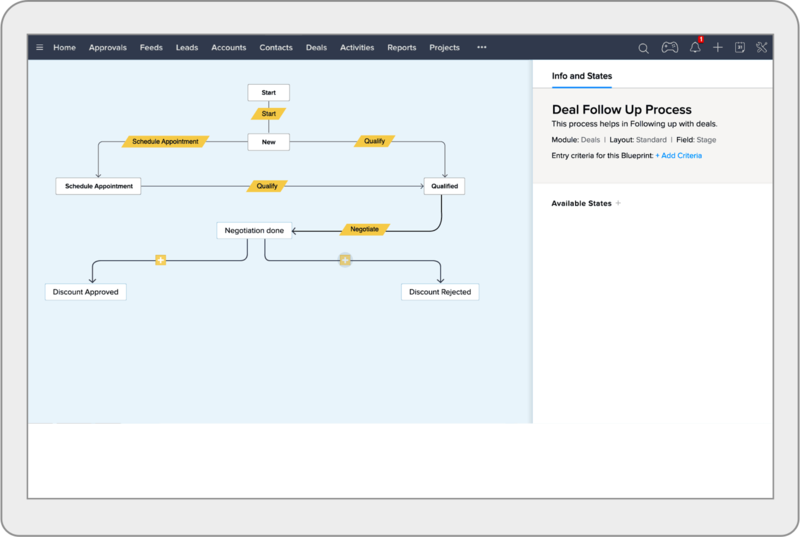 Workflows and Macros help you automate your daily activities. Never forget another activity. 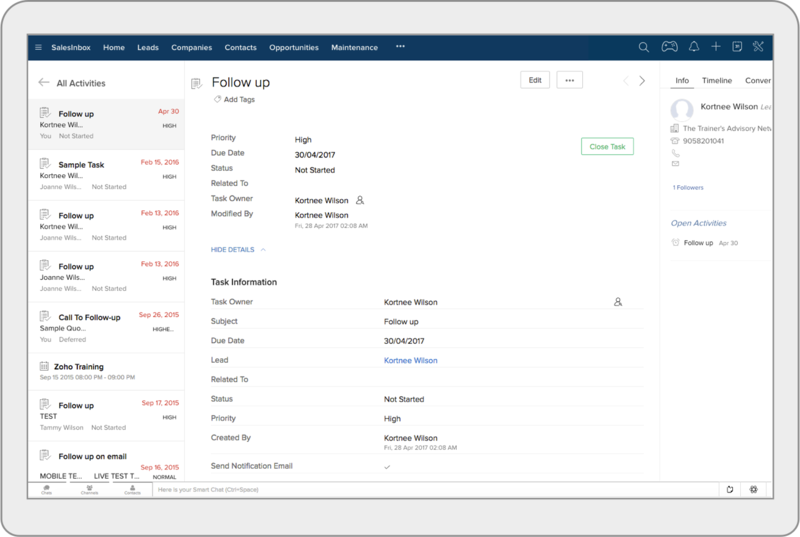 Instead of waiting to get back to your office you can create follow-up tasks, notes, and other reminders before your lead slip away. Integrated data, better insights. Zoho Reports lets you pull information from databases, files, third-party business applications, and multiple Zoho apps. If winning deals is exciting, shouldn’t selling be, too? Turn routine tasks into contests and watch your salespeople compete to add the most notes or send the most emails. Change the way salespeople work by breaking the routine with Gamescope. It’s more than just leaderboards or rewards; it’s a way to liven up your workplace. Knowing the score is important to anyone playing a game. Every time a lead is converted or a deal is signed, the sales rep is closer to winning a trophy or a badge. 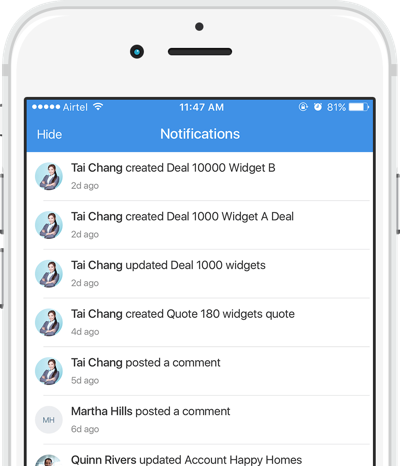 Pop-up notifications keep them informed about their progress so they know how near or far they are from their goal. Salespeople don't have to wait for their manager's approval to initiate a game. They can pick who they want to compete with or they can play in teams. Start a game with a newbie to get them warmed up to the team, or have a showdown among different sales regions. Managers have nothing to worry about because the games encourage everyone to perform their best. Understand your customer life cycle with trend analysis, sales performance metrics, churn rates, and pivot charts. CRM Analytics makes sure you have the information and the insights to make smart decisions based on customer behavior. Sell faster and easier by customizing your sales pitch with analytics. Stay connected and in the know. Zoho’s Mobile Edition gives you instant access to customer info and sales activities on your iPad, iPhone, and Android devices. The Zoho CRM interface is one which needs little to no explanation. Everything about the software is made as simple and straightforward as possible–from the terminology to the setup. So don’t worry if you’re completely new to sales or if you’re not tech savvy; we’ve crafted our CRM so that everyone can use it. And if you still want an even easier way to fill in data, Zoho CRM has an app that will scan your business cards for you.